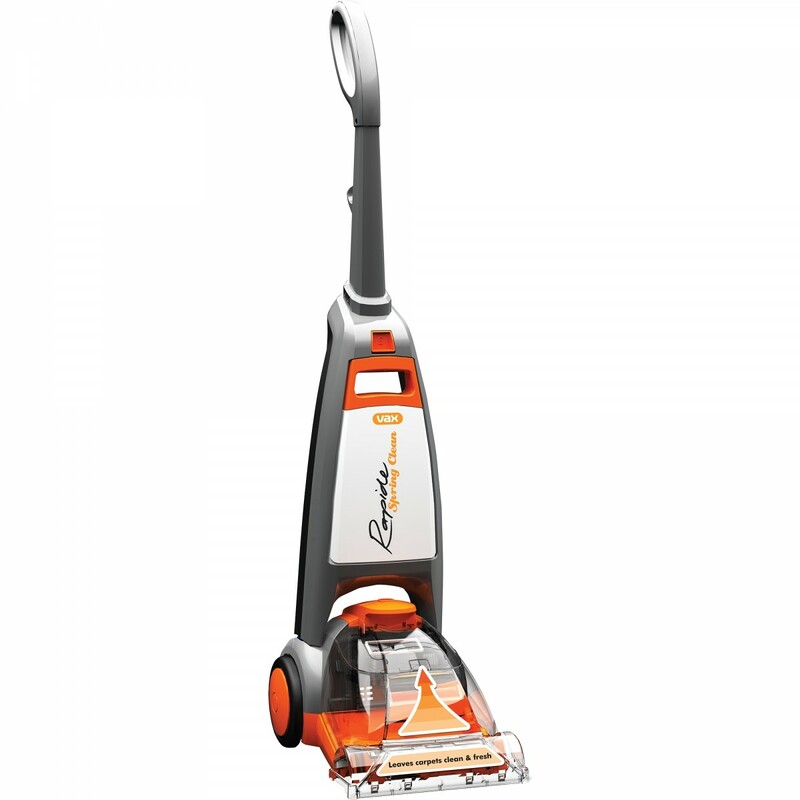 The VAX Rapid Spring Carpet Cleaner offers powerful performance and effortless portability. Designed for total home use, it makes light work of shifting stubborn stains from carpeted surfaces. With its 700W motor, lightweight construction and brush bar, you can rely on this VAX vacuum cleaner to achieve a flawless finish. Featuring a 2.5L clean water tank and a 1.5L dirty water tank, the twin tank design prevents dirt and grime from diluting your cleaning solution. The generous capacity of both water tanks means you can deep-clean your carpets without continuously stopping for refills, allowing you to focus on the task at hand and finish your housework sooner. The 6-metre cord gives you the freedom to clean hard-to-reach corners around the home, while providing you with limitless power. Take the hassle out of cleaning your carpets and upholstery by investing in the VAX Rapid Spring Carpet Cleaner today.